Long Island Spirits, founded in 2007, is the first craft distillery since the 1800's located on Long Island, in Baiting Hollow, NY. 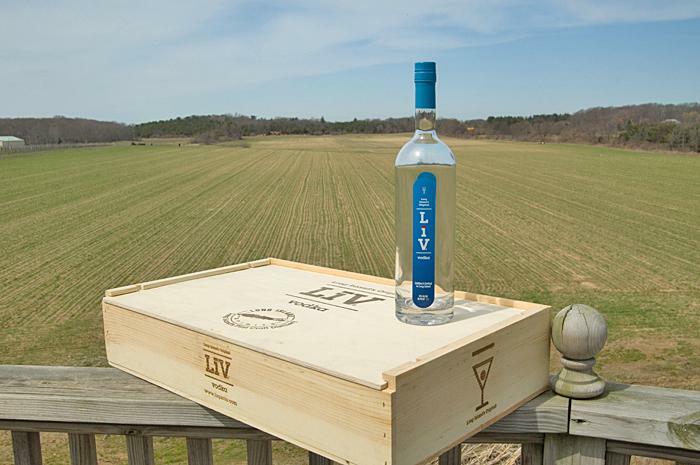 The distillery is home of LiV Vodka, and is surrounded by 5,000 acres of potato farms, in the heart of the acclaimed wine region on the North Fork of Long Island. Long Island Spirits is uniquely a farm-to-bottle hand craft distiller operation. After sourcing the potatoes, the artisan distillers mash and ferment them, before distilling the wash through the twin, 650-liter custom-made copper pot stills equipped with 30-foot tall rectification distillation columns. Each batch is distilled three times over, before removing the heads and tails from the distillate and bringing the hearts to proof with water sourced from an aquifer beneath the 100,000-acre Pine Barrens Forest Preserve.